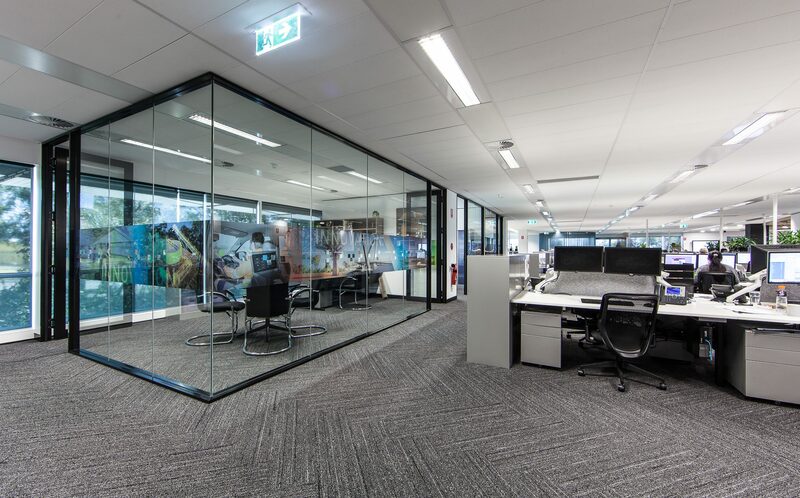 To complete a 1,200 sq. 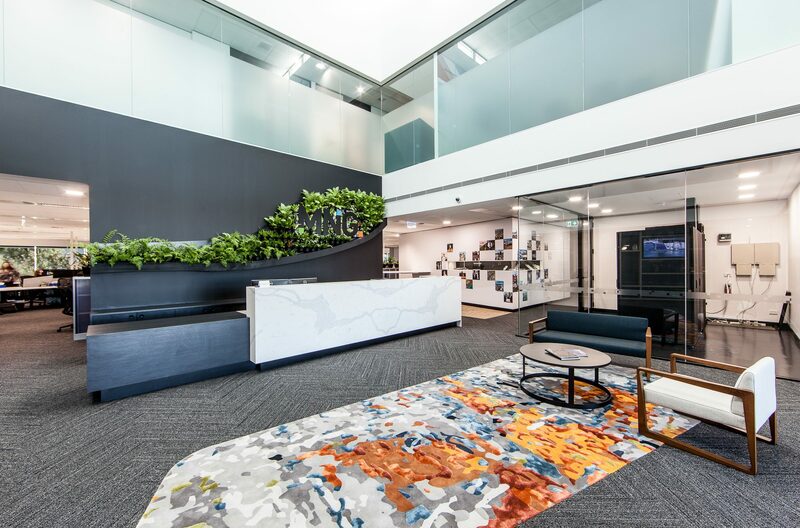 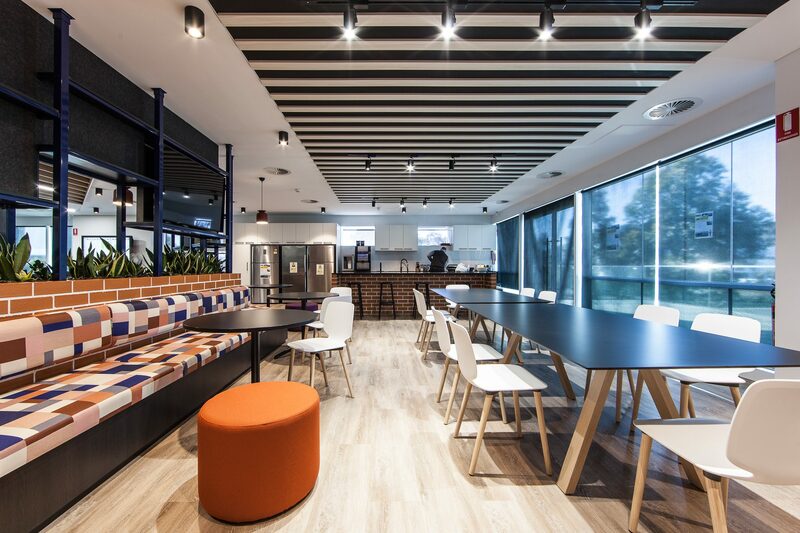 m fit out of the existing MNG headquarters without interrupting day to day work was the first challenge for Davidson Projects to manage on this very challenging project. 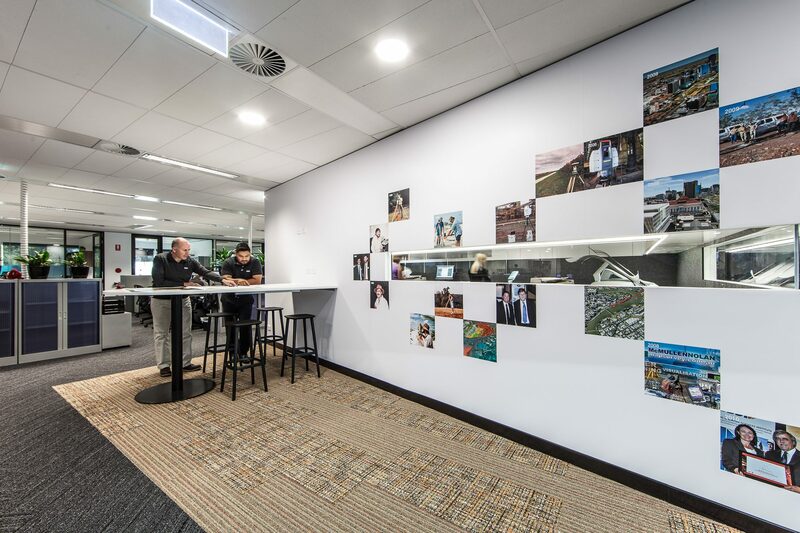 This was achieved by careful staging and close communication at all times between our on-site Supervisor and the MNG management. 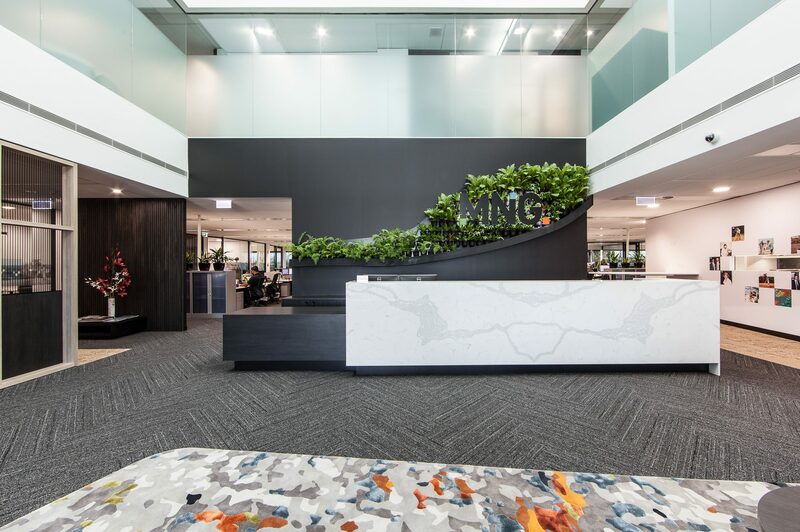 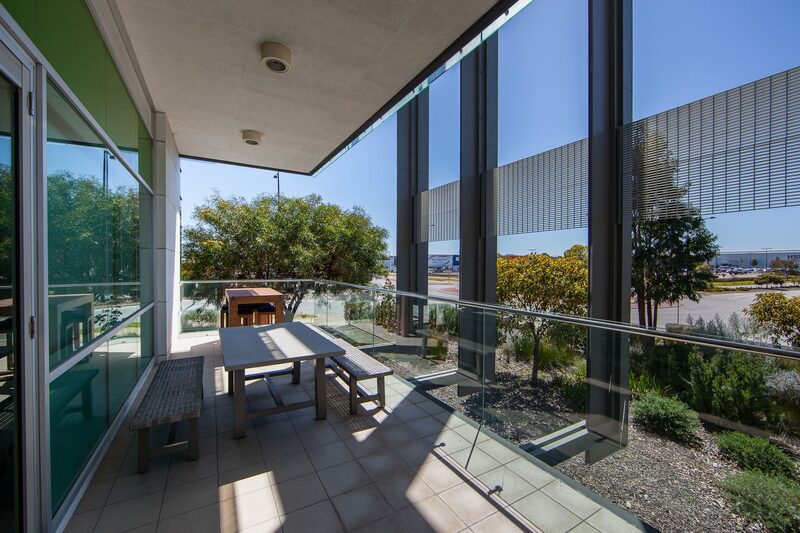 The result is a stunning new office environment and no wasted time by the MNG staff. 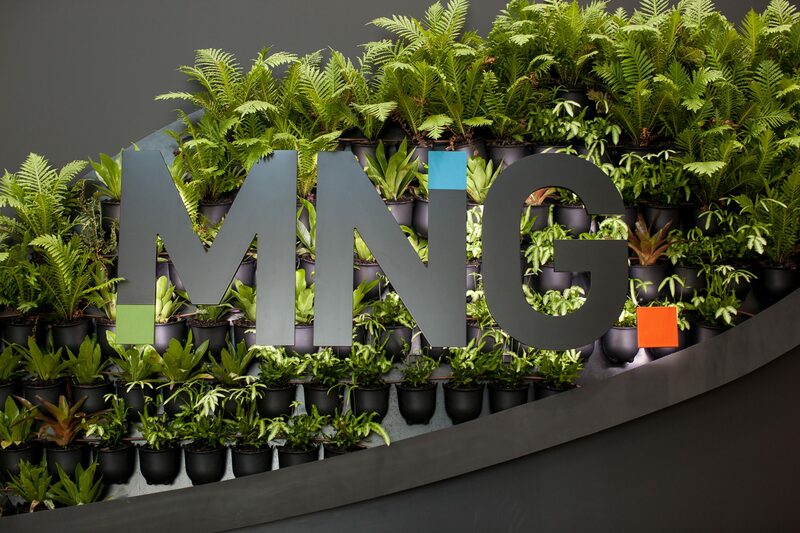 The brief was to create an environment which better reflects the MNG branding and culture. 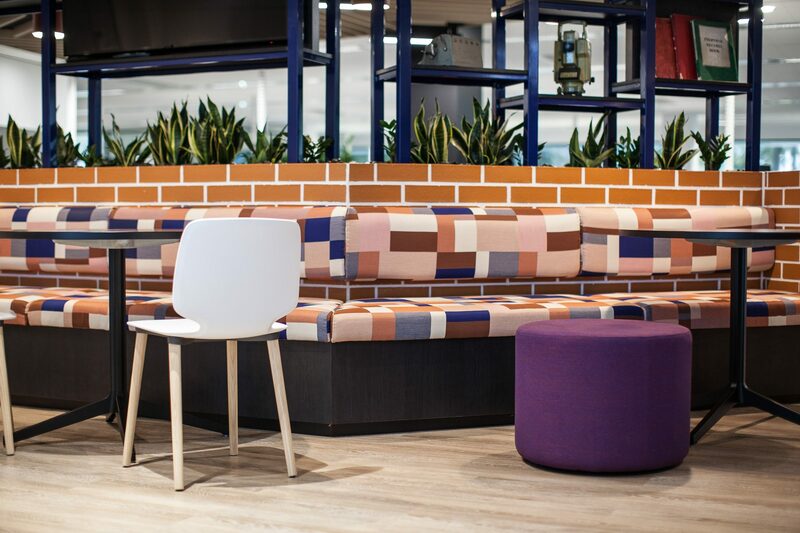 This was achieved with a practical, colourful and innovative workspace which promotes flexibility and worker collaboration. 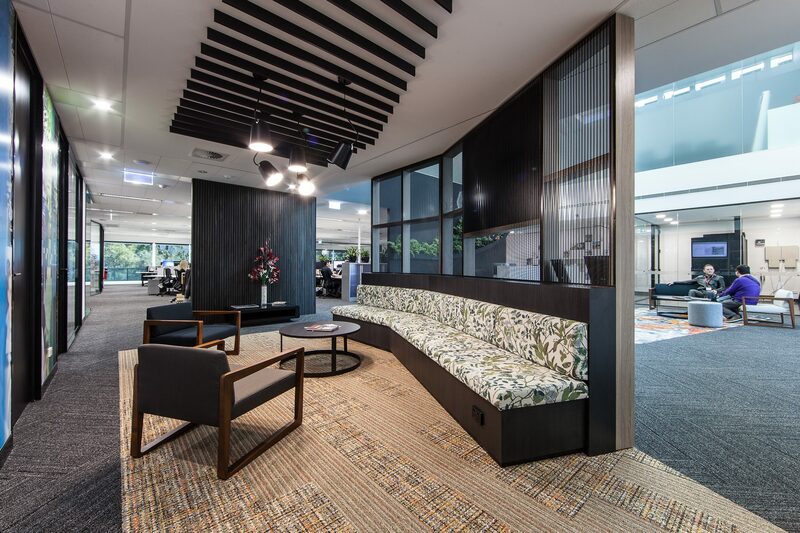 The reception area was opened up and a number of meeting areas and breakout zones were included in the open space. 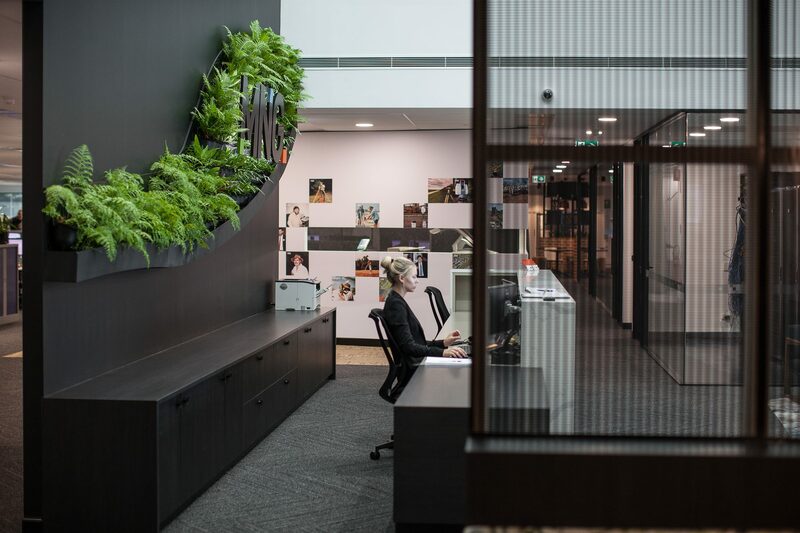 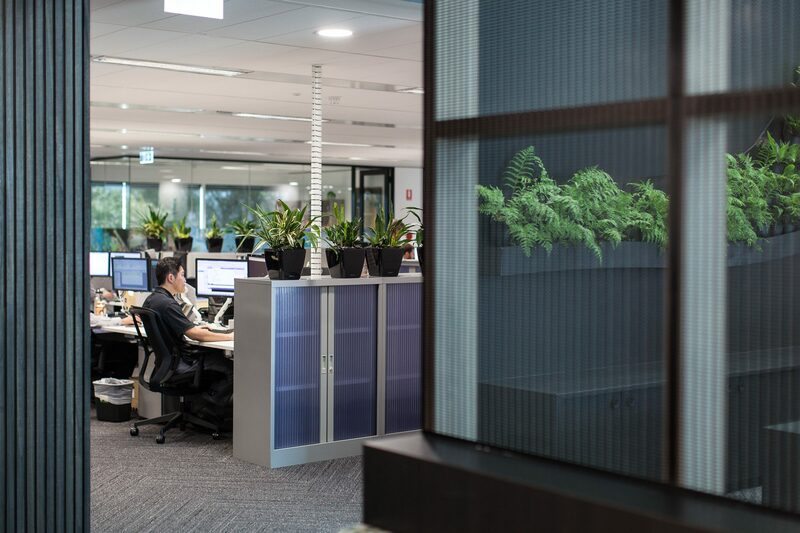 To improve worker wellbeing and bring more oxygen and “outdoors” into the office, biophilic design principles were adopted through the installation of feature timber panelling on the walls and ceilings as well as a green plant wall behind the reception and many pot plants throughout. 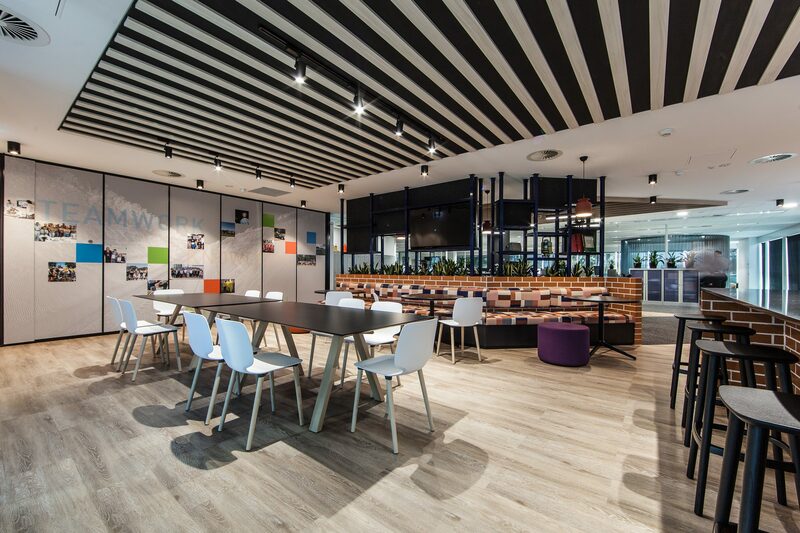 The client was very pleased with the resulting workspace and the positive response from the workers.